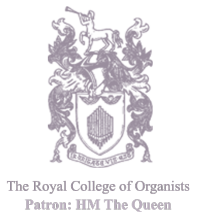 The RCO Certificate of Accredited Membership (CAM) is an early-level certificate scheme designed to establish and strengthen fundamental skills and musicianship at the organ. CAM offers the organist a developmental route from the foundation stage (equivalent to around ABRSM/TCL Grade 2) via the intermediate stage (around Grade 4) to the advanced stage (around Grade 6). Each stage of the CAM scheme requests the performance of three solo pieces and asks the player to demonstrate knowledge and understanding of the repertoire performed through supporting programme notes. Stages 2 and 3 also request the performance of an accompaniment. Figures in brackets give the rates for students. *Subject to feasibility in 2018. This option will be discussed with the candidate. The five College diplomas are detailed below, with a link at the end of each paragraph to enable you do download a copy of the current (2018–2019) regulations for that examination. Click here for the complete Diploma Examination Regulations: July 2019 to January 2020. The award of the Colleague indicates a standard of reliable and confident musicianship in public performance. It also indicates confidence in basic keyboard skills, most of which are invaluable in a liturgical context, and proficiency in those aural and written skills (fundamental musical grammar and knowledge of repertoire) which support practical musicianship. The Colleague is aimed at the amateur player with some experience of playing in public and at the developing student. Read more. Candidates are asked to note that the work by Brahms set in List C (second item) is to be played from the Henle edition of the complete works for organ. Two versions of this edition now exist, one from 1987 (ed. no. 400) and one from 2017 (ed. no. 1368). The published syllabus refers only to the 1987 edition. The required work for this examination is the shorter setting of 'Herzlich tut mich verlangen' (in common time, not 6/4) and is numbered no. 9 in the 1987 edition (p. 48-49) and no. 8 in the 2017 edition (pp. 30-31). Associateship of the College indicates a standard of professional competency in organ playing technique, essential keyboard skills and interpretative understanding. It also indicates accuracy in aural perception and fluency in those written disciplines (standard stylistic techniques and analysis of performance and historical issues in relation to organ repertoire) which support practical musicianship. Read more. Click here for additional guidance. Specimen material for the revised ARCO is available in the Purchase Past Papers area of this site. Fellowship of the College indicates a standard of professional expertise in organ playing technique, advanced keyboard skills, and interpretative understanding, which at this level will be stylistically well informed. It also indicates accuracy in advanced aural perception, and accomplishment in those written disciplines (advanced stylistic techniques and analysis of performance and historical issues in relation to organ repertoire and its broader musical context) which support practical musicianship. Read more. Click here for additional guidance. Specimen material for the revised FRCO is available in the Purchase Past Papers area of this site. The award of the Diploma in Choral Directing indicates a standard of professional expertise in choral conducting technique, rehearsal and interpretation. It also indicates accomplishment in those written disciplines (advanced stylistic techniques and extended choral arrangement) which support practical musicianship, as well as an extensive knowledge of the choral repertoire, and a thorough understanding of vocal and choral technique, and of the administrative and psychological management of singers and choirs. Read more. Licentiateship of the College indicates a standard of professional expertise in teaching the organ to students at elementary, intermediate and more advanced levels. It indicates a reflective and methodical approach to the practice of teaching, and shows clarity of purpose in the setting of study objectives, the planning of lessons, the development of technique and the encouragement of musicality. An understanding of student needs, aspirations and learning patterns will be demonstrated, as will competence in those administrative skills needed to organise a teaching practice. Read more. For the criteria used by examiners click here. For the Examiners' Instructions (2016) click here. For details of academic dress, diploma presentation and examination prizes click here. For a list of publishers of prescribed music click here.